puree using the same water. per the need. Let it rest for 15 minutes. thick then add more water. Take non stick tawa add 2-3 drops of oil. 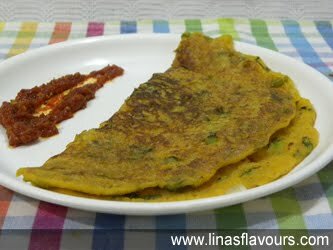 Pour about 2 ladleful of batter and spread it evenly to make round dosa,starting from the edges to the centre of tawa.